The Babysitter is a horror comedy that is available exclusively on Netflix. That service doesn't seem to have the best track record when it comes to exclusive films but I was very pleasantly surprised to see this one is actually legitimately hilarious and may just be the funniest film I have seen all year. I really enjoyed this movie, the humour was on point constantly and I loved how the cast interacted amongst themselves. This is a film about growing up, coming into your own and conquering your fears. At the start of the film our lead is a wimp, he's bullied and afraid of everything from needles, to bugs, his tree house, and driving. Over one night of madness he is forced to confront these fears, with his ordeal shaping him into a better person. 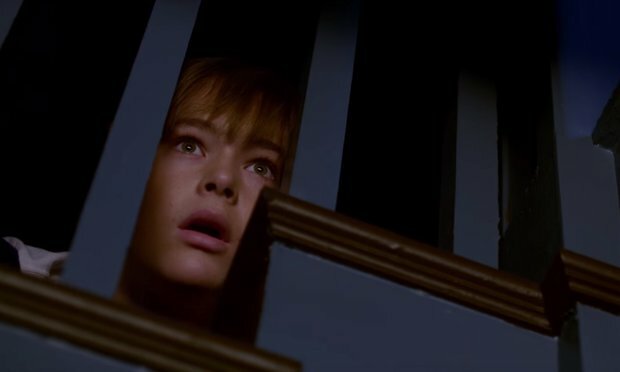 I loved how the first kill of the film is a geeky teen more Bee's age, Cole witnessing his brutal murder is like looking into a mirror of himself in the future, the geeks death brings with it the realisation that change within his own life is required unless he will stay a victim forever. The actors are all perfectly chosen for their roles, and I loved how they played off each other. Each of the antagonists (five in total) feel like bosses from a video game as Cole faces them one at a time during the night. You have the bitchy cheerleader archetype in the form of Allison (Bella Thorne), token black guy John (Andrew Bachelor), strange and cruel Sonya, the jock Max (Robbie Amell), and of course Bee herself. My favourite sequence of the film was Cole's battle against Max with Amell being fantastic for this role. He plays a roided up shirtless maniac, but one who seems to really like Cole. Even as he is chasing him and trying to kill him he is giving the boy advice and encouraging him on. At one point he stops trying to murder him in order to let Cole face his everyday bully, at another point he offers the boy a head start, and when he is about to kill him he helps him clean himself up so he can die with dignity. I loved how these two acted with each other, it would be easy for Amell to have said his lines in a patronising way, instead you get the sense he really does like Cole despite positively wanting to end his life. With each of the foes he faces he usually has some sort of discussion with them before, during, or after the battle. This leads up to my favourite part when Cole finally confronts Bee and they have a Kill Bill style talk about the past, you get the impression both sides genuinely feel sad at the firm friendship that has been irrevocably destroyed. When Cole says to Bee "I loved you" I couldn't help but get caught up in the emotion of that moment; the chemistry between these two is so well crafted. So of the humour a lot of it does come down to dialogue that is so funny throughout. Characters acting in a light hearted tone during dark moments, and one liners all hit the mark. There are plenty of references to other films, with even Home Alone being brought up at one point. This is relevant as The Babysitter does feel a lot like that at times, Cole using knowledge of his house to thwart his attackers felt very similar, as does some of what happens, though here it is all in a much more violent manner. There are a fair few deaths here, none that are the same, I don't really want to ruin any of them but they are all wonderfully shot, and on many occasions laugh out loud funny, such as a character getting covered in over the top blood from a someone they have just stabbed, and one person who gets blown up and (to paraphrase) says menacingly "I'm still alive!" moments before a second explosion finishes them. Sometimes the humour is obvious but still works regardless, off the top of my head the moment two cops arrive and immediately point their weapons at the black character despite him being unarmed while another character in the same room is armed with a deadly weapon serves as a predictable gag, but one that is performed well. If I had any complaints it would be that once you get into the groove and realise Cole is going to end up facing all his fears revealed earlier in the movie then you get a slight handle on where things are going to go. His fear of cars for instance, I figured this was going to play in to the later part so I was instead thinking how he would get to that instance rather than being totally in the moment. I also felt the finale was a little bit cheesy, especially when Cole is doing something cool and looks to the side to see Melanie in slow motion enraptured watching on. This is well paced though and came to a satisfying end, though I did wish there had been more at the end after everything is dealt with as the final credits soon roll (complete with a mid credits fun if predictable jump scare). I liked how the Satanic side of things is downplayed with no real revelation of if it is real or not, there is one slight visual effect in the whole run time to suggest that just maybe there is something supernatural, but I was relieved to see no silly demon or something ever shows up, this is a film about characters first and foremost. 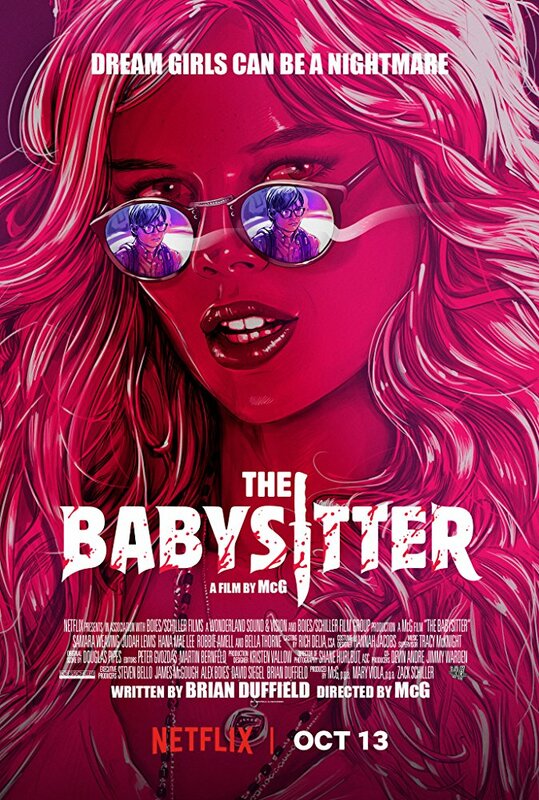 The Babysitter is a laugh out loud comedy horror that is pretty much fantastic. I had so much fun watching this, it makes such a change for the humour to actually resonate with me. There is little here to say bad about, while the attractive cast, coupled with wonderful directing by McG (responsible for Terminator: Salvation), lovely cinematography and attractive overlays (such as WTF coming up in bright words on the screen during a critical moment) combine to make something really quite special.